Are you looking for a beautifully small and compact aromatherapy diffuser to disperse gorgeous essential oils throughout the air in your home? If so then the Bali essential oil diffuser by Lanaform is the perfect choice! Virtually silent, it not only disperses a cool mist of your choice of fragrance but also displays soft variations of coloured lights. This really sets the mood in your home, turning the busiest of living spaces into a calm and tranquil place of relaxation. It couldn’t be easier to use! All you need to do is fill the diffuser with water and add a few drops of essential oils (not included) directly on to the surface. Why not try lavender for a spa-like experience or eucalyptus for a breath of fresh cleansing air? Once activated, the Bali diffuser creates a light mist which circulates the fragrance of beautiful essential oils through your home. Meanwhile, the light system diffuses a soft blue light through the air. What’s more is that this clever little diffuser automatically switches off when there's not enough water in the reservoir or when the cover is removed from the base - keeping you safe and secure. This neat and compact powerhouse of an aroma diffuser not only looks neat and tidy wherever you put it in your home - it'll inject the air with beautiful aromas easily and naturally. With the Bali Aroma Diffuser your home will be your sanctuary! 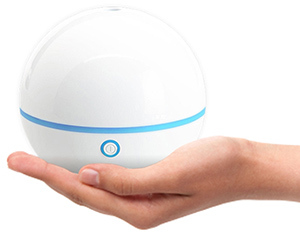 Ultrasonic aromatherapy diffuing in the home, for health and wellbeing. 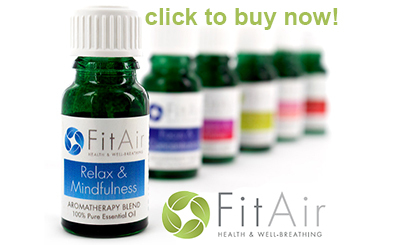 Aromatherapy nebuliser uses natural oils for maximum benefit. Mains electric, UK plug attached.